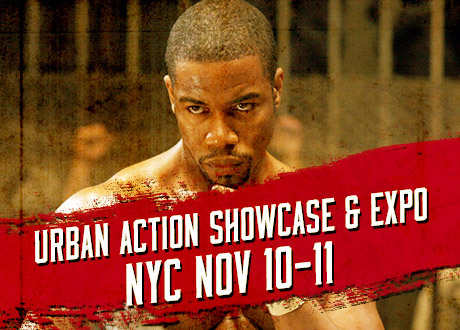 Urban Action Showcase Expo Nov. 10-11 in NYC. Appearances by Michael Jai White and Lu Feng! Kung Fu LA fans in NYC: Be sure to catch the Urban Action Showcase & Expo coming up November 10 -11, 2017. So on my site I typically only feature kung fu movie events occurring in the Los Angeles area. However, Venom legend Lu Feng will be making a rare US appearance and is important enough alone to announce. There will be plenty of stars there from a variety of action genres, and several film screenings, including a Venoms movie marathon with special appearance by Lu Feng! Other special martial artist guests are scheduled to appear, including: Michael Jai White, Ron Van Clief, Robert Samuels, Vincent Lyn, Michael Woods and more! I was fortunate enough to do some promotional work for their event, and it looks very exciting this year. Hopefully you can check it out!